I know I am super late to the JustFab party, but I succumbed to a Facebook ad last month and joined up. I typically can't buy shoes online unless I know the brand will fit me because I have super wide and somewhat short feet, so a lot of regular sizes don't fit. I frequently have to go with extra wide shoes. 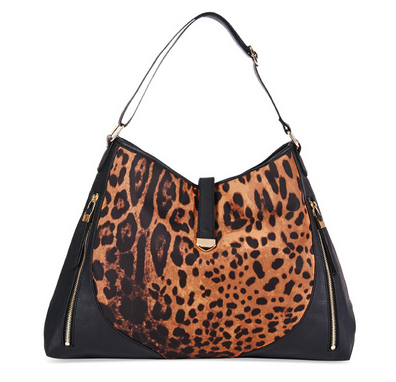 But JustFab has a lot of cute bags, too, and they promised free shipping and free exchanges and sent me a coupon that gave me a really good deal, so I could hardly resist that deal. This is more of a review of the shopping and exchange process- I haven't worn the shoes all day yet, but will cover that in another post. I was going to get a bag, but I have a lot of bags, including a laptop bag I really like and use daily. I figured with the free exchanges I would try out the shoes. I really wanted some booties for winter, so I ordered the Remington from the Luxe line in a size 9. 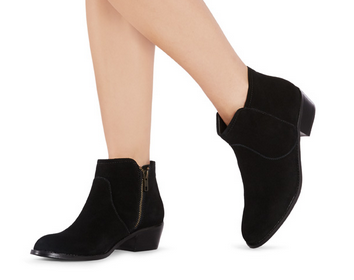 This style is out of stock now, but it was a really nice pair of booties. Unfortunately, they were too small, and they didn't have a bigger size. I could get them on, but I didn't want to risk painful feet, so I decided to exchange them. 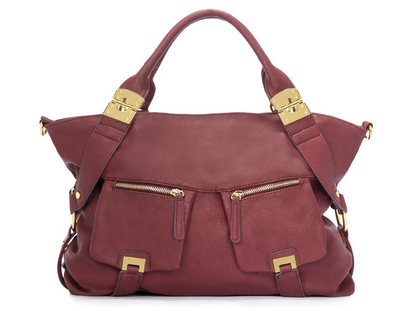 It was super easy to exchange from JustFab. There is an exchange feature on the website, but I ended up calling customer service and they let me know I needed to know the item I wanted to exchange for, and I could exchange for any item on the site. I ended up getting an item from the regular line, and under normal circumstances, they would have credited the difference in price. But since I had coupons and discounts galore when I made this purchase, they just did an even exchange and I was fine with that. JustFab processed my exchange efficiently by sending me a return label and then putting in the order on their system to hold the item I wanted until they knew my item was being shipped back. As promised, as soon as my return package's tracking number registered with USPS, which was a Saturday, they started processing the order to ship out my new item, and they shipped out on the following Monday. I had the new item by Saturday of that week, 7 calendar days after my shipment back registered with the USPS tracking system. 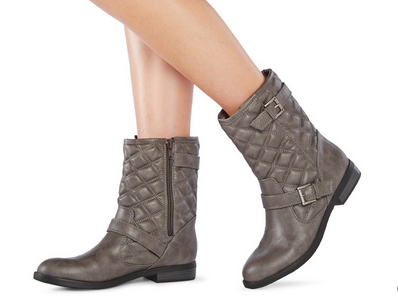 For my exchange, I chose the Lallia boots in gray in a size 10. Normally I don't go up to a size 10 in shoes because they are way too big. I normally get boots in a 9 or 9.5 if 8.5EE is not available. But for some reason, even though they have half sizes in everything under 9, JustFab does not have half sizes over 9. I also noticed that a third of the users on the site had rated these as feeling a bit smaller than true to size, so I went with the 10, and they fit great! Especially considering I will be wearing these with thick socks during the winter, I am very happy with my purchase. Most of the items on JustFab cost $39.95. It's one of those sites where you can let them take $39.95 out of your account and have it sit there in site credit until you decide to buy an item. I don't see any reason to do that. I have never been able to figure out the benefit to this type of subscription plans. You don't seem to get any kind of a discount or special treatment if you do. I've even asked the online chat people of several of these sites and they just redirect and point out that you can skip. So, skip I will do! If you decide to skip, you have to skip by the 5th of the month or you will get charged. So I logged in on October 1 and skipped right away. If I don't end up seeing anything I can't live without after a few months, I will probably cancel, just so I don't forget to skip. Have you ever tried JustFab? What did you think? Let me know in the comments! I just signed up for just fab as well - waiting on my first shipment! I hope mine fit!